The majority of motorcycle accidents that involve another vehicle are the fault of the other vehicle’s driver. And motorcycle riders are 30 times more likely to be seriously injured or killed in the event of a collision than occupants of motor vehicles, based on per-mile driven. While about one-third of motor vehicle occupants are injured in a collision, the injury rate for motorcycle riders is 80 percent, meaning a rider seldom escapes serious injury in a collision. Motorcycle riders understand the risks better than anyone and typically do everything possible to ride safely and avoid a collision. National statistics show three-quarters of collisions involve a passenger vehicle, while only 1 in 4 motorcycle accidents involve just the motorcycle. 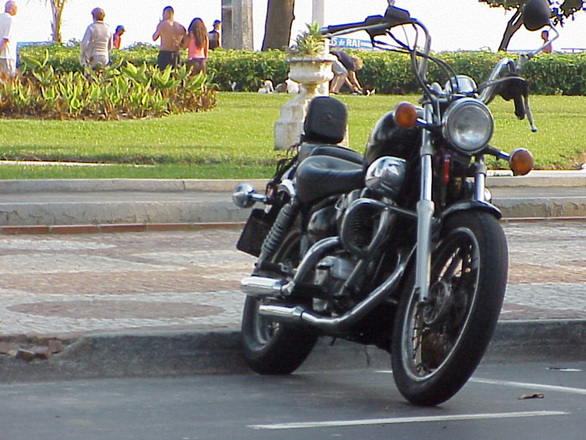 Most often a motorcycle collision occurs because a vehicle fails to yield the right of way to a rider and turns into the path of an oncoming motorcycle. A surprising number of collisions also occur as a result of a vehicle rear-ending a motorcycle rider, typically at an intersection. Motorists should realize that riders can be seriously injured or killed simply by falling off a motorcycle. Giving riders a wide berth and allowing extra time for them to pass is often the best bet for avoiding being blamed for a serious or fatal accident. Our experienced motorcycle injury lawyers in Fort Myers and Cape Coral will work to determine who was responsible for your accident, identify all available insurance coverage, and determine the full extent of your damages, including past and future medical bills, lost wages and the cost of rehabilitation or disability. These collisions typically result in very serious injuries, including concussions and brain damage, broken bones and joints, soft tissue injuries and road rash, scarring and disfigurement, and other injuries such as biker’s arm, which can result in nerve damage and limited mobility. Too often, a rider is blamed or partially blamed for a collision. Our five decades of experience and use of outside experts and consultants, allows us to independently determine accident causation and pursue those responsible.